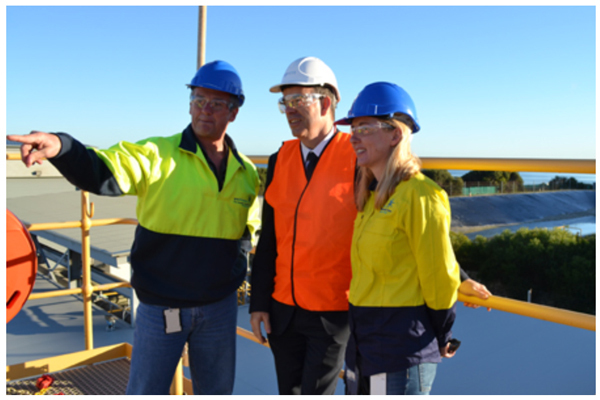 The Perth Seawater Desalination Plant recently marked 10 years since its official opening in 2007. Conceived in response to the impact climate change was having on Western Australia’s dams and groundwater, it was the first large scale plant to be built in Australia, and one of two seawater desalination plants in WA that supply 47 per cent of water for Perth and the Integrated Water Supply Scheme. In the last 10 years the plant has produced about 475 billion litres of drinking water for Perth, and has the capacity to provide 45 billion litres of drinking water each year from the ocean. Investment in desalination forms part of the Water Corporation’s long-term Water Forever plans – to secure water supplies in response to climate change.